(Natural News) Thanks to the to advent of modern medicine, many medicinal herbs and spices have been relegated to the back of kitchen cabinets and pantries. The truth is that herbs and spices hold far more healing power than the average pharmaceutical; whether it’s warding off the common cold, or battling blood sugar levels, natural medicine has got Big Pharma beat. For people who are concerned about high blood sugar levels or insulin resistance, pharmaceuticals are often presented as the only option — but in addition to diet and exercise, herbal medicines can also be extremely beneficial. The power of antioxidant nutrients is widely recognized, but the phytonutrients found in plants can do far more than just fight off free radicals. Apple cider vinegar (ACV) is increasingly popular for a variety of applications, but did you know that studies have shown it can help increase insulin sensitivity? As Healthline reports, the acetic acid found in ACV reduces the production of certain enzymes in your stomach. In studies, ACV has been shown to improve insulin sensitivity after eating. “Try drinking 20 grams of apple cider vinegar in 40 grams of water before you eat to help reduce a spike in blood sugar,” Healthline suggests. Basil is known for its anti-aging and anti-inflammatory benefits, along with its distinctive flavor. But basil can do a lot more than just spice up your pesto — scientists have found that this leafy green can help keep blood sugar levels stable. Much of this blood sugar-stabilizing ability is believed to come from ursolic acid and eugenol, both of which are powerful plant nutrients with potent antioxidant capabilities. In one study, patients with type 2 diabetes received either a placebo or 2.5 g of dried basil leaf a day. The basil group experienced a 17.6 percent reduction in fasting blood glucose levels and a 7.3 percent decrease in postprandial, or after-meal, blood glucose levels – a very significant result. Ceylon cinnamon, or Cinnamomum zeylanicum, is another great choice for promoting healthy blood sugar levels. Research has consistently shown that cinnamon can manage blood sugar levels, as well as promote insulin sensitivity. Paul Davis, a research nutritionist at the University of California, Davis, published research on the benefits of Ceylon cinnamon in managing blood sugar levels. As Natural Health 365 cautions however, Ceylon cinnamon is different from Cassia cinnamon. Cassia cinnamon, or Cinnamomum cassia, can contain high levels of coumarin — which is a natural blood thinner. Because of this, it’s important to select Ceylon cinnamon, which is also sometimes called “true cinnamon.” Cassia cinnamon is far more common in North America, but experts say Ceylon cinnamon is worth the hunt: In addition to boasting lower levels of coumarin, Ceylon cinnamon is considered to be more “potent” than Cassia, in terms of its medicinal capacity. Fenugreek is an old fashioned herbal treatment for high blood sugar. And like many natural remedies, there is a growing body of science to support its use. As sources report, fenugreek has been studied for its ability to help reduce fasting glucose levels and improve glucose tolerance. “Herbalists and natural healers often advise dosages ranging from 2 to 5 grams of fenugreek seeds per day,” Natural Health 365 reports. 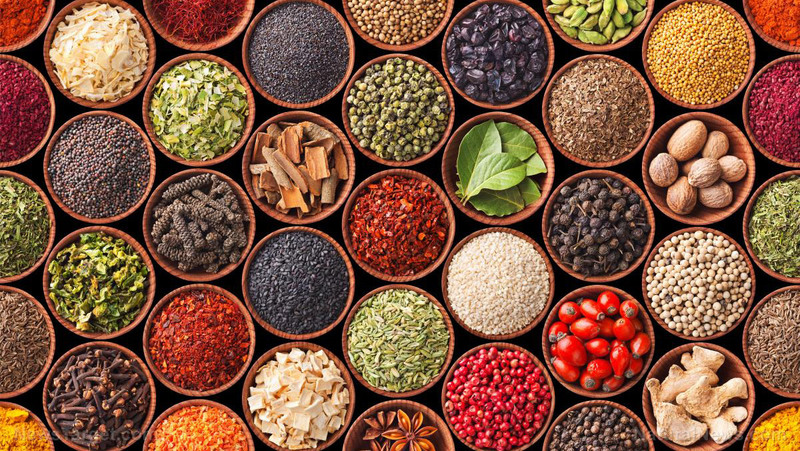 There are many medicinal herbs and spices that can be used to help balance blood sugar and improve insulin sensitivity. But before beginning any new supplement regimes, you should always speak with your naturopath or other preferred care provider. You can learn more at AlternativeMedicine.news. Next : Study: Fish oil helps fight arthritis, cancer, heart disease, depression by preventing inflammation – Are you getting enough?